Breaking now out of Plantation Florida. Authorities have arrested a white male in his 50’s working at an Autozone. He is the person of interest in the sending of bombs to numerous high profile people against Trump. 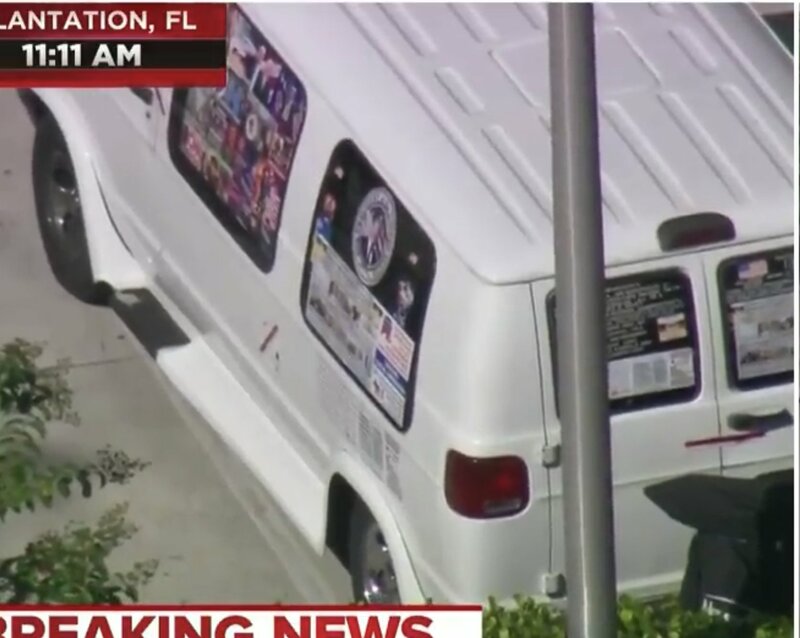 The image above is the suspect’s van. While it is blurry, media is reporting that those are right wing propaganda stickers. I’ll update as soon as I find out more.